Cub Scouts are boys and girls between the ages of 8 to 10½ years. The Cubs meet weekly during term-time, currently FRIDAYS from 18:45-20:15 at at our Hall in Hill Mountain unless notified differently. They participate in a wide range of games and activities designed to build on what they have learnt in Beavers, including cooking, camping, trail following, map reading, night hikes, and much more! 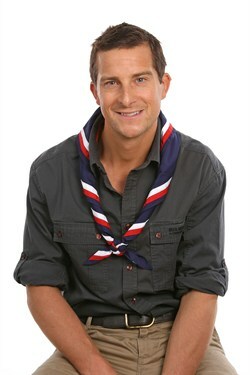 Cubs also earn Activity badges, and are encouraged to work on badges at home as well as in the weekly sessions. Challenge badges are worked on within the weekly Cub Sessions and when completed Cubs are awarded the Chief Scout's Silver award, the highest award which can be achieved in the Cubs section. As Cubs approach 10½ years they begin to learn about moving on to Scouts, meeting other members of the Scout Troop and the Leaders, reflect on what they have enjoyed at Cubs and say goodbye to life with the Cub Pack. When they are ready, they have a celebration and are formally Invested as a Member of the Scout Troop. Cub programme plan and parent helper rotas are available to download from the News page.